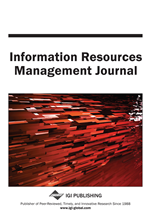 This article works out a method on how information resources in organizations can be turned into a knowledge sharing (KS) information culture, which can further feed business success. This process is complicated, and the value chain can be broken in many places. In this study this process is viewed in the light of resource-based theory. A KS-model is developed where the hard information resources of time, people and computers are defined. When wisely used, these make communication a core competence for the company. As the soft information resources are added, that is, the intellectual capital, KS and willingness to learn, a knowledge sharing culture is developed, which feeds business success. This model is empirically discussed through a case study of 15 Finnish insurance companies. The overall KS capability of a company corresponds positively to the different dimensions applied in the model. KS is an interactive process where organizations must work on both hard information resources, the basic cornerstones of any knowledge sharing, and make constant investment into soft information resources, learning, intellectual capital and process design in order to manage their information resources effectively.